Everyone knows about digital ad fraud, but do you know how to protect yourself as an advertiser? I have to admit that I really didn’t really understand the magnitude of the problem and I didn’t understand what to do. If you are like me, then you need to listen to the interview Tim Peter and I recently did with Augustine Fou, an expert on ad fraud. 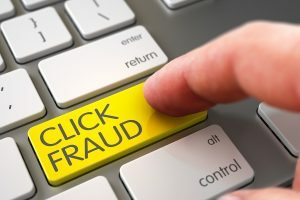 One of the reasons ad fraud is so tough to combat is that most of the fraud activity is detected after the fact, and asking for givebacks for your ads doesn’t take the money out of the bad guy’s pocket. So they will go do it again, so long as it is just a cost of doing business for the ad platforms. And you can’t just turn on some ad fraud detection technology and forget it, because some kinds of ad fraud can’t be detected very easily. To hear more about what Augustine told us, listen to the full interview above.